Becoming a state police trooper can be a very worthwhile career, for those who meet the strict qualifications. Law enforcement in general is very demanding and, in some instances, dangerous. State troopers, however, not only oversee local police officers (sometimes investigating them in cases of malfeasance or failure to perform their jobs correctly), but also take on far-reaching, complicated responsibilities. Simply put, they have to know more and be ready for bigger challenges than common law enforcement officers. 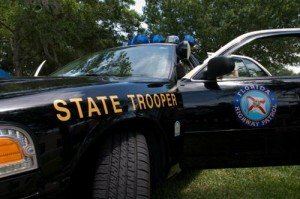 The hours may be long, the job can be very stressful and physically/mentally demanding, but, fortunately, what is required to become a state trooper is clearly spelled out by each state. Being in good physical, emotional and mental shape. Being able to get letters of recommendation from respected persons. Being of above-average size and height. Being fluent in a foreign language. Passing mental-health, physical-endurance/capacity and intellectual-acuity exams. Passing stringent background checks (including DNA drug screenings). Being free of substance abuse problems/addictions (e.g., gambling). Acing realistic, “on-the-job” simulation tests. In looking around at potential programs (criminalistics, forensic science, pre-law, etc. ), online colleges/universities should be seriously considered. These programs can save money, time, and can also be super-convenient, compared to on-campus programs. Having had associations with well-known criminals (e.g., organized crime figures) or gangs. Having a criminal/arrest record (including misdemeanors). Having bad credit, if such demonstrates irresponsible use of finances. Having lied on any official applications. Having had a dishonorable military discharge. Not satisfactorily passing a number of different tests (e.g., a psychological-health screening). Not passing grueling physical endurance/capacity tests and training. Not passing law-enforcement scenarios simulation tests. Not passing oral board examinations. Not being a US citizen. Not passing stringent visual-ability exams. Not complying with professional-appearance restrictions: tattoos, body piercings, strangely-colored hair/hairdos, or inappropriate clothing choices. Patrol city streets and state highways. Assist local law enforcement and prison guards. Help secure all state facilities. Help apprehend any “wanted” fugitives within the state. Provide 1st-aid to those injured/sick. Serve as Field Training Officers. Be spokespersons for the state. Assist in major state/national emergencies. Keep taking job development/training classes. Visit schools and civic organizations. With a median salary of about $55,010/annually, state troopers appear to have a bright future ahead. Between the years of 2010 through 2020, for example, a 7% job growth rate (or 58,700 new jobs) is expected, according to the US Bureau of Labor Statistics. Becoming a state trooper requires, above all, that potential applicants run their lives impeccably at all times. That includes never using drugs, gambling, or engaging in any kind of illegal activity; it also entails not associating with lawbreakers and troublemakers. In other words, state troopers must be life-long role models—the kinds of people everyone can look up to, respect and depend upon, especially when sirens are going off!